There’s quite a few cooking shows out there, and I have subscribed and unsubscribed from quite a few of them. The one that has remained in my list the longest, however, is the Start Cooking podcast. Start cooking is a video podcast hosted by Kathy Maister, and presents a variety of simple but tasty recipes (though the realse dayes are not very regular). This may not appeal to advanced or professional cooks, but it’s perfect for beginners, or those looking for something quick and easy. There are two things that I like most about Start cooking: firstly, it’s short (generally just 2-3 minutes long). You get to see all stages of cooking, but the production style is unique in that it is a series of still images rather than a 15 minute full motion video, so they can cram a lot of information in a short period while keeping it easy to follow. Second, the recipes are reletively simple using easily available ingredients, which is more than I can say for most TV chefs. Quick but clear — exactly how a cooking video should be. The content itself is great, but lately the video collection has been watered down somewhat with videos like how to crack and separate and egg and juicing a lemon. Stick to recipes, please. Unlike many other cooking programmes on iTunes, this one is made for the medium, rather then a repackaged TV show. As such, the production style is perfect for a portable video player. An excellent cooking show, but the releases are inconsistent, and you can’t help but feel cheated when you expect a new recipe but get a video about how to crack an egg. 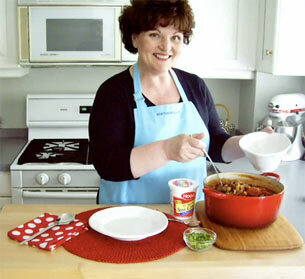 This entry was written by podwatch and posted on February 17, 2008 at 3:14 pm and filed under Cooking, Video with tags kathy maister, start cooking, Video. Bookmark the permalink. Follow any comments here with the RSS feed for this post. Post a comment or leave a trackback: Trackback URL.